According to the latest reports over 20 million loans have been provided to Veterans since the VA mortgage program started in 1944. It has gone well beyond helping a group of returning soldiers obtain a loan to the point that whole generations have benefited from the VA’s efforts. For people that meet the requirements a VA mortgage beats out other types of home loans in big ways. The Veterans Affairs offices do not offer the loans to the veterans. The VA develops the rules for lending to veterans and offers a guaranty to lenders that meet approval requirements. This means that if some terrible events prevent the veteran from making their obligation to repay the loan the VA will repay the lender at least part of the mortgage. Out of all the benefits of the VA program the zero down payment is one of the biggest. A conventional loan will ask home buyers to pay somewhere between 3% and 20% of the home’s price as a down payment. A jumbo loan will require a 20%-25% down payment in nearly every case. But not VA. 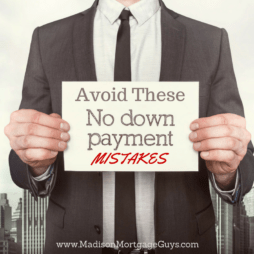 If a borrower meets the other guidelines of loan approval then there is no down payment. For almost every home transaction this one benefit will save the veteran thousands of dollars. Out of all the various types of mortgages, the VA home loan has seen the least amount of foreclosures over the years. Coupled with the fact that borrowers are not required to pay anything down to purchase the home, this is an astounding accomplishment. How is this possible? First, the VA guidelines do not worry about the impact of the mortgage payment on the veteran’s income. Instead, the VA rules focus on the impact of all debt. There is a strict rule stating that the borrower’s home payment along with other debts can never be higher than 41%. Furthermore, the VA has an entire staff devoted to helping Veterans understand how to make proper steps in order to prevent foreclosure. This staff also intervenes with lenders to work out mutually beneficial arrangements if the borrower falls on hard times and needs to work out a repayment plan. 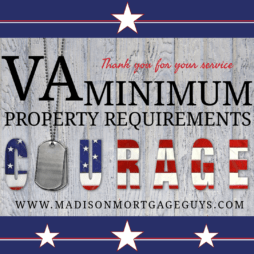 The VA lending guidelines do not specifically state any credit score minimum in order to be approved for the mortgage loan. 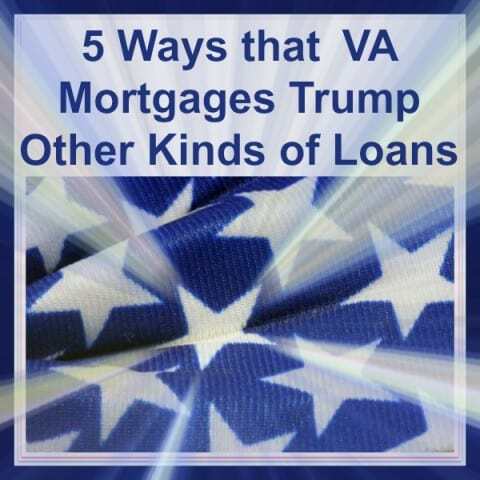 The actual wording states that the borrower should be “a satisfactory credit risk.” Generally speaking, in order to get approved for a VA mortgage the veteran will need to demonstrate the willingness to pay their obligations by keeping all payments on time for a minimum of 12 months prior to applying for a home loan. 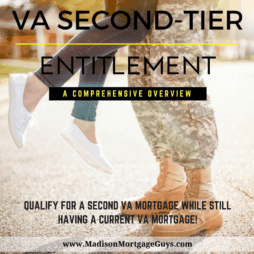 It is possible for a Veteran to purchase a home using their VA entitlement, pay on that mortgage for several years, and then use the entitlement again. The first loan would obviously need to be paid off before the second loan could be approved. However, this one feature makes it feasible for a Veteran to buy a home while they are young and then move up in home size and value later in life as their needs change. Although many things have changed greatly in the years since the VA mortgage was introduced, the mission of the VA remains the same; to provide affordable mortgage loans for the men and women that bravely defended the USA in times of peace and war. Contact us below or apply online to see if you qualify for a VA Mortgage in Wisconsin, Illinois, Minnesota or Florida!